Saurabh Lodha, MD (New York) - Book Appointment Online! 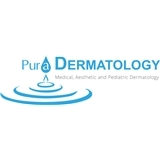 Dr. Saurabh Lodha and the staff at Pura Dermatology are dedicated to providing compassionate, individualized, and comprehensive dermatological care. Dr. Lodha has expertise in medical, pediatric as well as cosmetic dermatology. At Pura Dermatology, we seek to create a soothing environment where the doctor-patient relationship is paramount. We believe in a holistic approach designed to address all of our patient's questions and concerns in each encounter. You will receive individualized care with a warm and welcoming staff. If this is your first time with us, please arrive 15 minutes before your scheduled appointment time, if this is not your first time with us please call the office to schedule accordingly. Also please be aware we have a 24 hour cancellation policy, so if you do need to cancel, please give us a call 24 hours in advance. Best Doctor!! Very straightforward, staff very friendly.